The current wet weather and issues associated with the Zika virus have people “on edge” regarding mosquitoes (Figure 1). However, the common strategies that must be implemented to avoid mosquito bites is the same regardless of the mosquito-disease (e.g. virus) relationship. 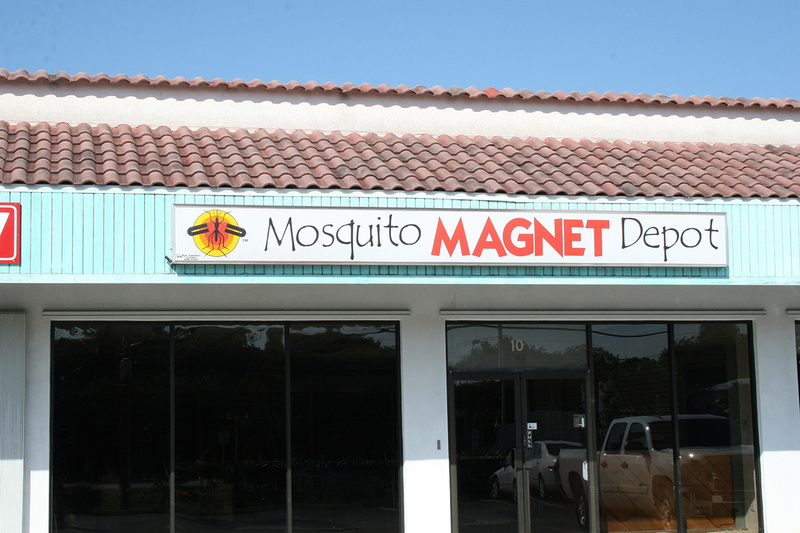 The three primary strategies that will help to avoid mosquito problems include: 1) source reduction, 2) personnel protection, and 3) insecticides. Wheelbarrows, pet food or water dishes, saucers underneath flower pots, buckets, tires, toys, wading pools, birdbaths, ditches, and equipment. In addition, be sure that gutters drain properly and do not collect water. Protect yourself from mosquito bites by delaying or avoiding being outdoors during dawn or dusk when mosquitoes are most active. 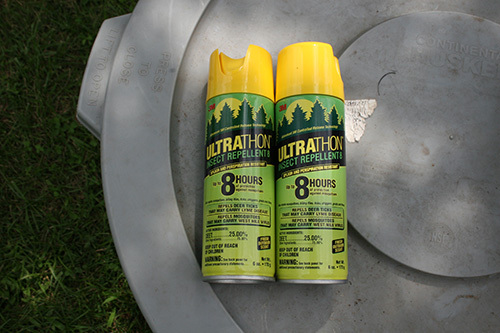 Use repellents that contain the following active ingredients: DEET (Figures 2 and 3) or picaridin (Figure 4). DEET may provide up to 10 hours of protection whereas picaridin provides up to 8 hours of protection. 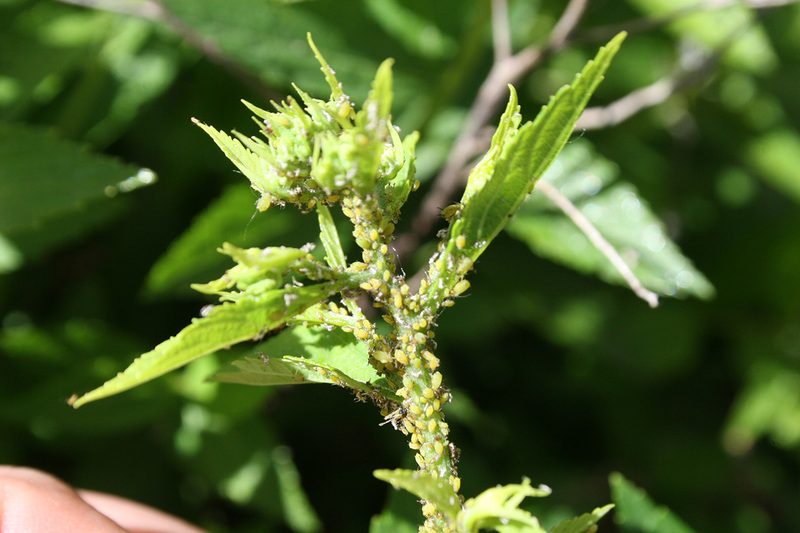 In general, a higher percentage of active ingredient in the product results in longer residual activity or repellency. For children, do not use any more than 30% active ingredient. Furthermore, do not use any repellents on infants less than 2 months old. 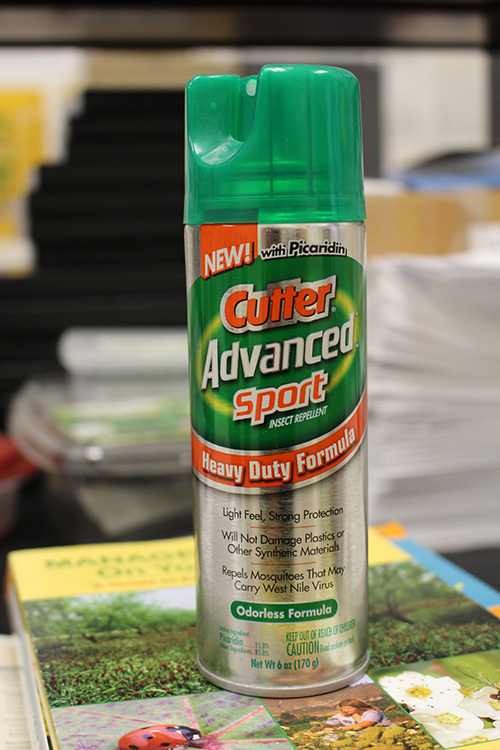 Clothing can be sprayed with either DEET or permethrin (pyrethroid insecticide). Afterward, always wash clothing separately. Before applying any repellent be sure to read the label carefully. 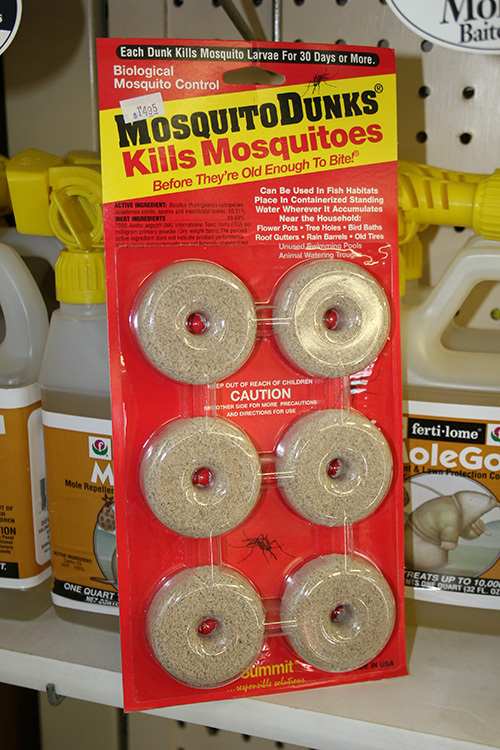 For stationary ponds there are several products that may be used, such as, “Mosquito Dunks” (Figure 5) and/or “Mosquito Bits” (Figure 6), which contain the active ingredient, Bacillus thuringiensis subsp. israelensis. 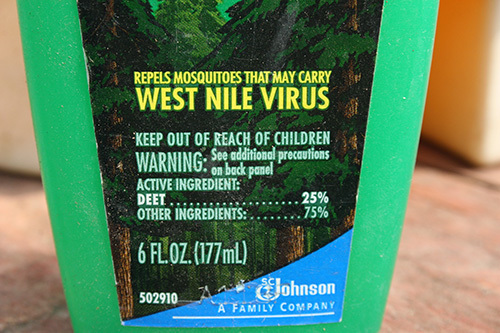 The active ingredient is a bacterium that is ingested by mosquito larvae, and subsequently kills them. The bacterium only directly kills mosquito larvae and has no effect on fish or other vertebrates. 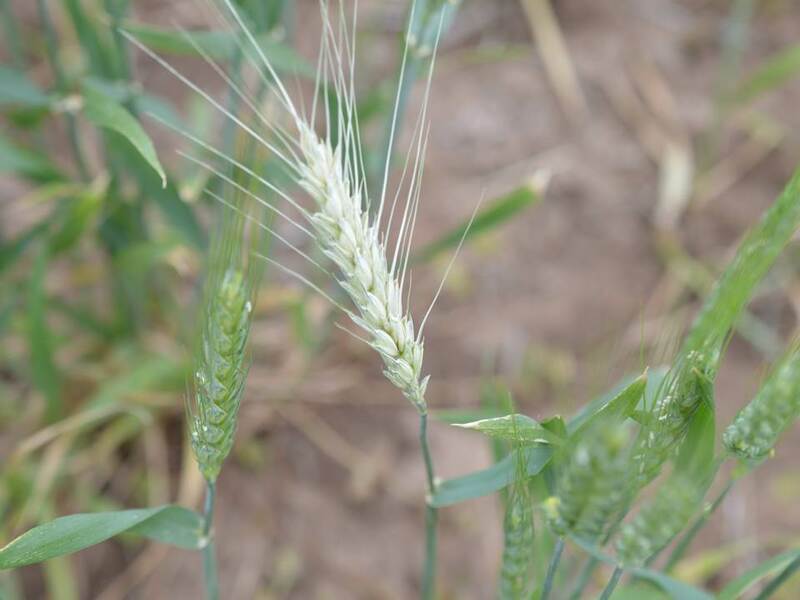 Try to avoid making area-wide applications of contact insecticides because these types of applications are generally not effective, and the applications may potentially kill many beneficial insects and pollinators (e.g. bees). Mosquito repellent plants (citronella plants), bug zappers, electronic emitters, and light traps/carbon dioxide traps. 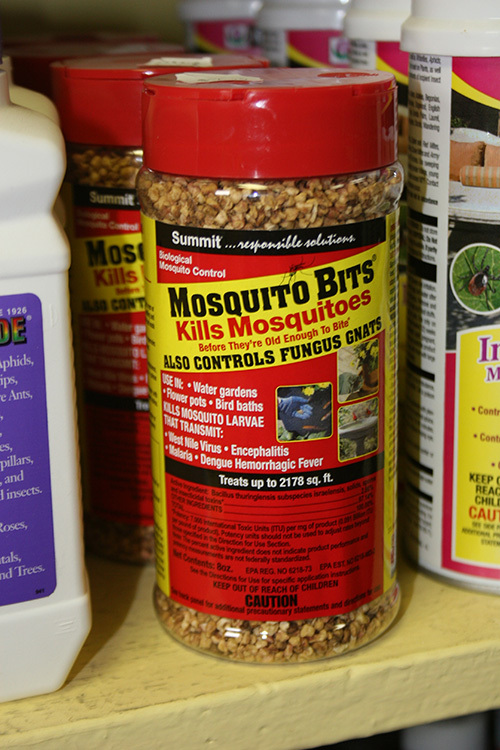 If anyone has questions or comments regarding mosquito control please contact your state extension office or Department of Entomology at Kansas State University (Manhattan, KS). Pushing the envelope (as I often do), how does one use Muhammad Ali’s “Float like a butterfly, sting like a bee”, epitomized boxing style, and the movie Poltergeist tagline, “They’re here”, as an introduction to a Kansas Insect Newsletter article? I spent time on Saturday and Sunday doing yardwork. It was Sunday afternoon that (out of the corner of my eye) I frequently glimpsed monarch butterflies lazily/lightly floating by. I had noticed none the day before. So, “They’re here” refers to their arrival in Kansas (well, Manhattan) on Sunday as they were on their southward migration to their overwintering grounds in Mexico. 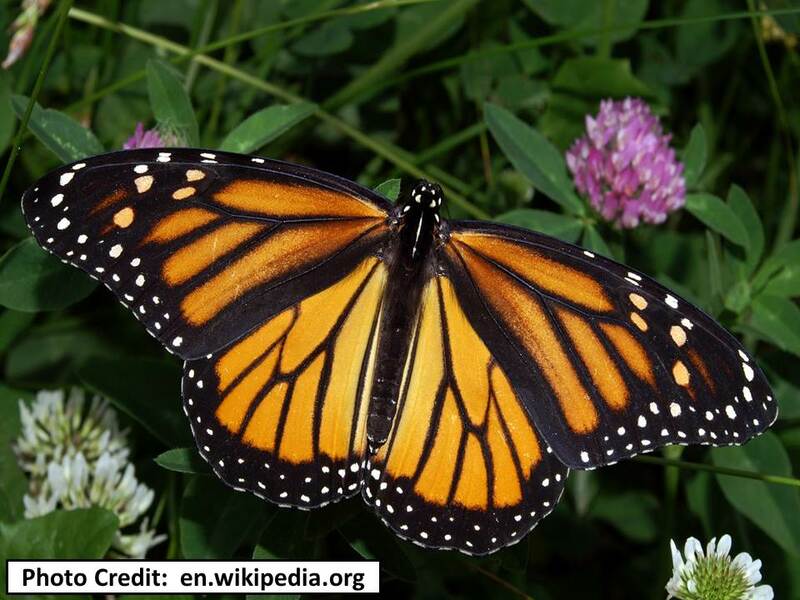 There are individuals with passionate interests in the status of monarch butterfly populations and activities. Avid monarch-watchers access websites which better document the current presence/movements of migrating monarchs. My sighting certainly has no official status in terms of documentation —- just a “casual” observation on my part.